Sursir is a low-population water world, which has 90% or more of its surface covered in an ocean of water and a population of less than 10,000 sophonts. The inhabitants of this world live on the roughly 10% of exposed land mass, in underwater colonies, on city ships, or similar arrangements. Sursir, as a member world of the Third Imperium has a member of the Imperial Nobility overseeing the world. 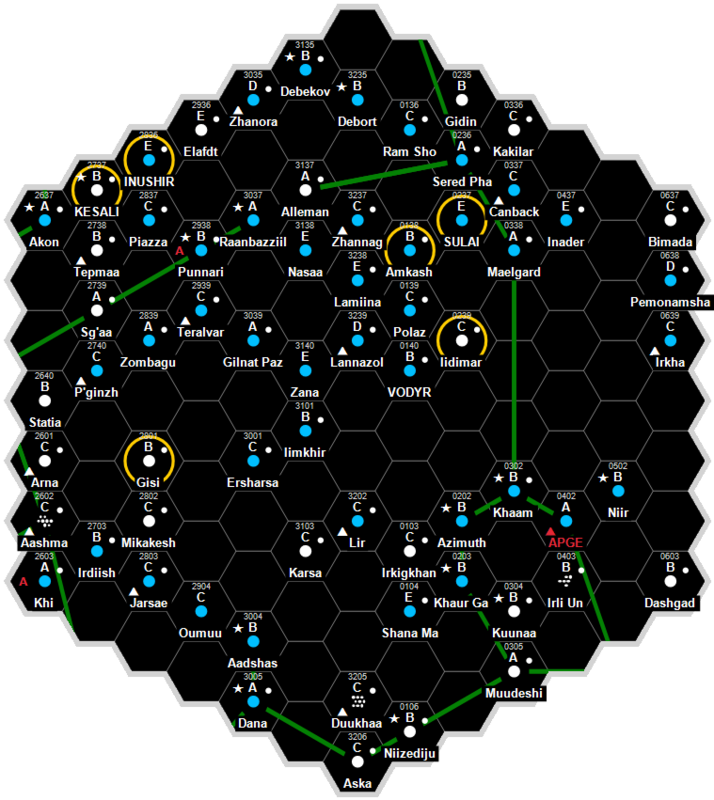 Sursir has a good quality starport. Sursir possesses a Technology Level of TL–8. Sursir has a Corporate or Company government. This page was last modified on 2 August 2017, at 05:37.